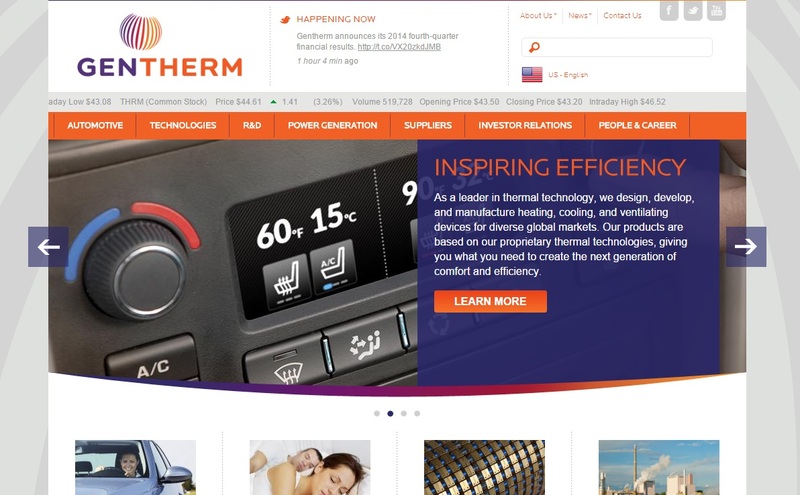 NORTHVILLE — Gentherm Inc. (Nasdaq: THRM), the thermal management technology developer, posted net income of $8.5 million or 23 cents a share in the second quarter, down from $18.4 million or 50 cents a share a year earlier. Revenue was $243.4 million, up 5 percent from $232.7 million a year earlier. For the first six months of the year, net income was $33.9 million or 92 cents a share, up from $30.3 million or 83 cents a share in the first half of 2016. Revenue for the period was $492.6 million, up from $448.4 million in the first half of 2016. Behind most of the decline in profitability was a $13.2 million foreign currency loss in the quarter, vs. a foreign currency translation gain of $2.8 million a year earlier. The company said the loss was the product of holding U.S. dollar-denominated assets in its European business units and a stronger Euro. Operating expenses and research and development spending also both rose sharply from a year earlier. Among the company’s business units, revenue from climate controlled seats was $98.8 million for the quarter, down 3.4 percent from $102.3 million a year earlier. Seat heater revenue was $73.8 million, up 2.1 percent from $72.3 million a year earlier. Steering wheel heater revenue was $14.5 million, up 15.5 percent from $12.6 million a year earlier. Automotive cable sales were $22 million, up 3.6 percent from $21.2 million a year earlier. Total automotive sales were $215.8 million, up 1.9 percent from $211.8 million a year earlier. Revenue from remote power generation technology was $7.5 million, up 82.9 percent from $4.1 million a year earlier. Revenue from the Cincinnati Sub-Zero Products subsidiary was $20 million, up 19.5 percent from $16.8 million a year earlier. The company’s operating expenses for the quarter rose 8 percent to $53.2 million due to higher stock based management incentive compensation, continued investments in new products and technologies, and enhancements to operating infrastructure. Net research and development expenses were $21.4 million, up 12 percent from a year earlier. These activities include the advanced battery thermal management device, which is set to launch later this year, and an electronic controlling device which is scheduled to begin production in early 2019. Other focus areas include automotive interior thermal management devices, medical thermal management devices, and battery management systems. The company said it now expects its 2017 revenue gains to be “at the lower end” of the previously predicted increase of 5 to 10 percent. To listen to a replay of a conference call discussing these results, visit www.gentherm.com or call (844) 512-2921 in the United States or (412) 317-6671 elsewhere, and using the pass code 13667294.